Brazilian Keratin Hair Treatment Good or Bad? Brazilian Keratin hair treatment has been getting lots of buzz lately. I mostly have been getting questions from clients and have been aware of the chatter from the internet on what I think of the product. We haven’t used this in my salon so to get more information on this hair treatment; I turned to the people at Marcia Teixeira Brazilian Keratin Treatment for answers. The Brazilian keratin hair treatment is a straightening process that is considered natural because it uses keratin, a type of protein with amino acids that is naturally occurring in your hair already. Keratin is the main structure building protein in our hair and nails and it is what makes hair strong and flexible. The makers of this keratin hair treatment, extract the keratin from sheep’s’ wool. 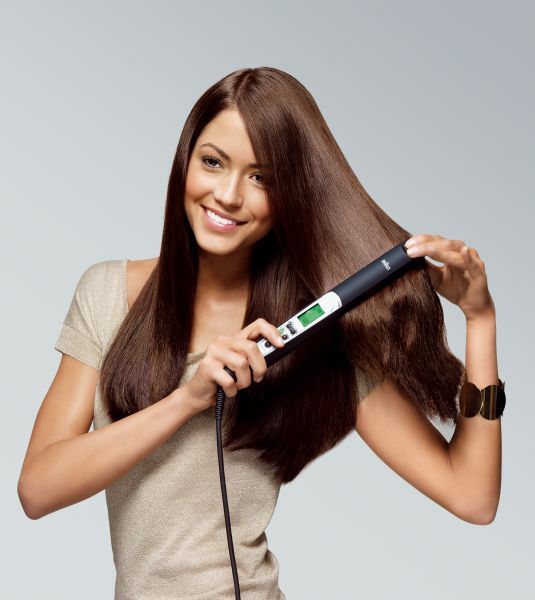 Marcia Teixeira, says that the keratin hair treatment can be used on any hair type . . . even children! It is said to be very gentle and perfect for anyone who cannot get other hair straightening treatments because they have highlighted or colored hair. The Brazilian keratin hair treatment takes approximately two to three hours to process, depending on how much hair you have. Touch ups are required every four months or so to maintain the ultra straight, smooth and shiny look. After the treatment, it is suggested that you avoid washing your hair, wet it, use hair products or put it in a hair band or ponytail for at least three days. The hair must obviously be in a fragile state after the process if it needs this amount of resting time. If you are considering getting a keratin hair treatment, here’s what to expect: A professional hairdresser with training in applying the keratin hair treatment will shampoo your hair with a special shampoo. Then, your hair is saturated with the keratin hair treatment product, blown dry and flat ironed silky straight. It all sounds so wonderful, but that’s not the end of the story. There are many women who have had big problems with this treatment, suffering with major hair loss and other issues. A look at the Oprah.com hair forum will give you some insight into the negative aspects of these straightening treatments. Just like with any chemical treatment, I’d suggest having a strand test done before going forward with a treatment. Ask the hairdresser to perform a strand test on an inconspicuous part of your hair. Then wait at least a week before you return to the hair salon to get the entire treatment. According to some of the negative reviews, hair breakage and hair loss started showing up the week after having the treatment. Brazilian keratin treatment is not new. Barb wrote an article about Brazilian Keratin hair treatment when it first came out. It appears even at that time there was some concern about ‘formaldehyde’ a probable carcinogen, being in the product. March 29, 2014 By: Barb Quinn Hairstyle Blog Leave your comments (3), Your input matters. I had a keratin treatment for the first time it only relaxed by curls just alittle. The salon agreed to do it again but it has only been a month and a half since the first treatment. Is this ok or should I wait the 3 month? I am really interested with this Brazilian Keratin treatment. I wish this is available here in the Philippines.